The semiformal Osborne Garden is the first space visitors pass through upon entering Brooklyn Botanic Garden via the Eastern Parkway entrance. This Italianate garden features an emerald lawn framed by wisteria-draped pergolas. 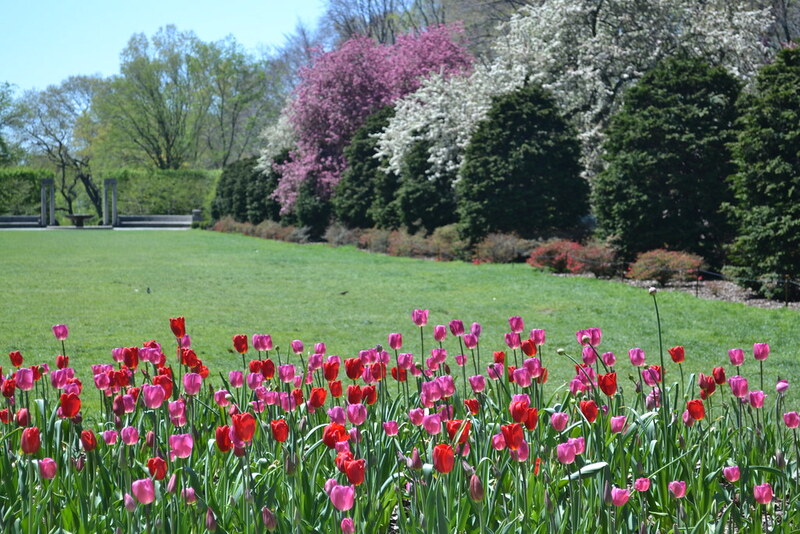 It is at its most colorful and dynamic in spring, when cherries, wisteria, crabapples, and azaleas bloom in succession. In summer, a lovely variety of annual flowers bloom, giving way to fall foliage, and crabapple fruits that persist through winter. Architectural features include two sets of stone columns and curving acoustic "whispering" benches. Wisteria and azaleas blooming together in spring. Photo by Sarah Schmidt. Spider flower in bloom in late summer. Photo by Blanca Begert. Ginkgo leaves represented on the base of one of the Art Modern columns. Photo by Blanca Begert. Japanese maples in the fall. Photo by Rebecca Bullene. Blog > Winter Berries, Why Are You Still Here? 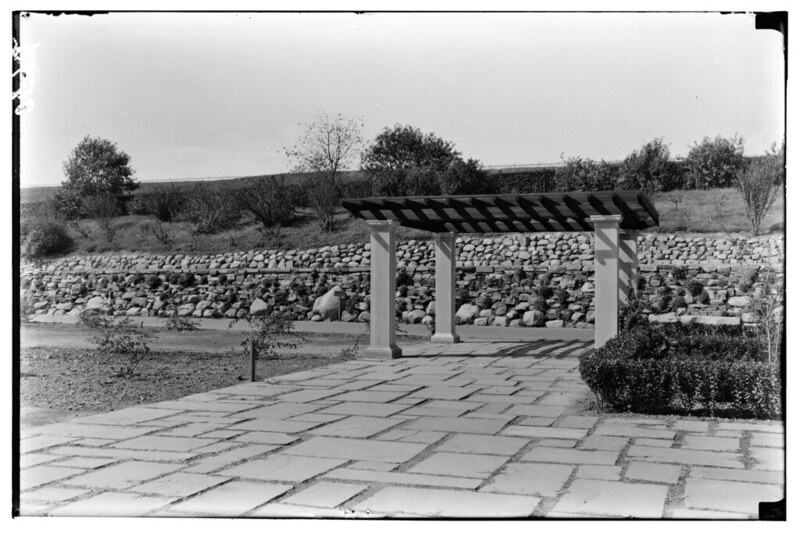 The boulder wall and one of the ten stone pergolas in the Osborne Garden, in 1935, shortly after they were completed. Photo by Louis Buhle. 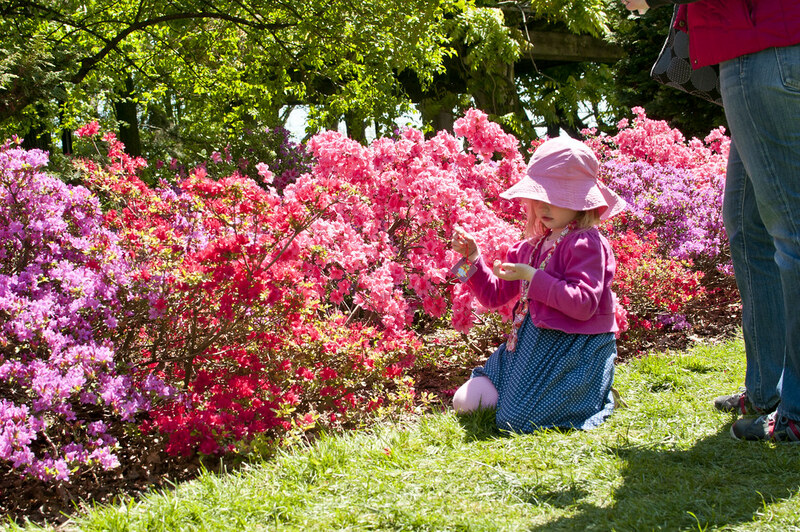 Azaleas in full bloom at the Osborne Garden. Photo by Mike Ratliff. Tulips and crabapples flowering in the Osborne Garden. Photo by Elizabeth Peters.